You know who the top hairstylist in your salon is. He or she is the one that is busy all the time, right? You know her. She is the one that has to skip lunch. He is the one that walks into the salon and there are 2 clients in the lobby waiting on him. They are also the one that leaves with the wad of cash in their pocket! They are the one you secretly get pissy about because they have a nicer car than you and the nicer clothes. "Why is she always busy? How does she make so much money?" I'm going to tell you how, but you probably aren't going to like it! Because she is willing to do things you won't. You think, at this moment, that you are working and doing everything right. But if you are looking at anyone in your salon and wondering what she has that you don't, I'm telling you that you are deluding yourself a touch. If you knew what she knew, your pockets would be packed too! In fact, you may know these things but are unwilling to actually DO them and insure your success. The real question is: Are you willing to do what it takes to be a Top Hairstylist? Are you willing to work harder? Are you willing to network? Are you willing to excel in customer service? Are you willing to develop your skills? 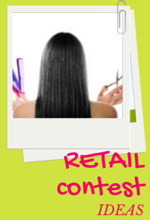 Are you willing to learn how to sell retail in the salon? I'm always so amazed how stylists act like they want to be great but are not willing to invest themselves for their own success! Freaky. I mean, really, what's stopping you? You are getting in your own way, because the only way you can NOT be a top hairstylist is if YOU don't do the things that guarantee your success. 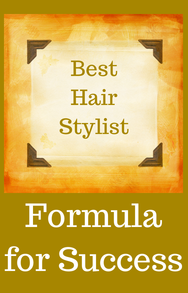 What the Top Hairstylist in Your Salon Knows. ...that clients don't fall out of the sky and land in her chair. She knows how to constantly be marketing herself and building a clientele that sustains her beauty career. ...that every client should be treated like they are "special." ...that the clients trust her and doesn't take that trust lightly. ...what happens IN the salon affects what happens OUTSIDE the salon. Therefore, she understands the importance of professionalism. ...that the way she looks defines the image a client will have of her, so she dresses like a professional hair stylist. She is aware that the better she looks the more credibility she has with clients. 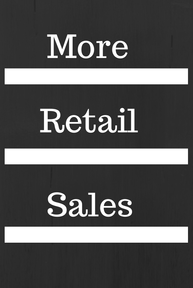 ...that retail sales retain clientele, so she addresses retail with every client. ...that the upsell increases her paycheck. ...that cleanliness and sanitation with her station and equipment helps with client retention. ...that continuing education makes her more valuable as a professional hair stylist. ...that the re-book is the paycheck next month. ...that time is money. Time management is crucial to client retention and to her paycheck. ..that she can't make money in the break room or out back. ...that every minute without a client in the chair is a missed opportunity. ...that growing a beauty career is an ongoing process. It never stops and everything she does either adds to her career or takes away from it. Am I doing anything in the salon that makes clients see me as anything but professional? Do I dress tastefully, like a professional hair stylist? Do clients come back to see me? If not, why? Do I put the client's needs before my own? Do I keep client's waiting? 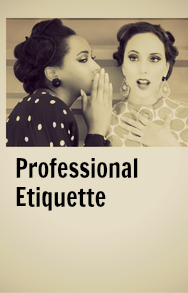 Do I really care about the clients, the salon, my co-workers? Do I help grow the business? Is my skill level comparable to other stylists in my salon? Am I really adding value to our salon? 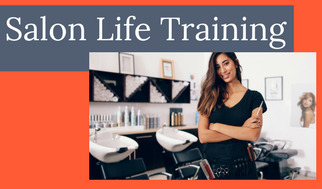 There absolutely is a path to becoming a Top Hairstylist in your salon. The formula to success is easy! Find your weaknesses and fix them. Commit to work on your issues one at a time and watch how fast you increase your value to your salon AND increase your income at the same time! Back to the Top, Please!